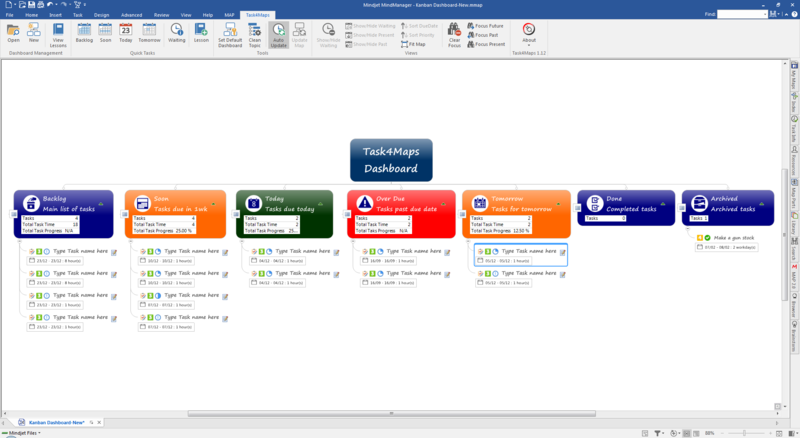 Capture, Record & Distribute Tasks to Project & Dashboard Maps with Task-Q! 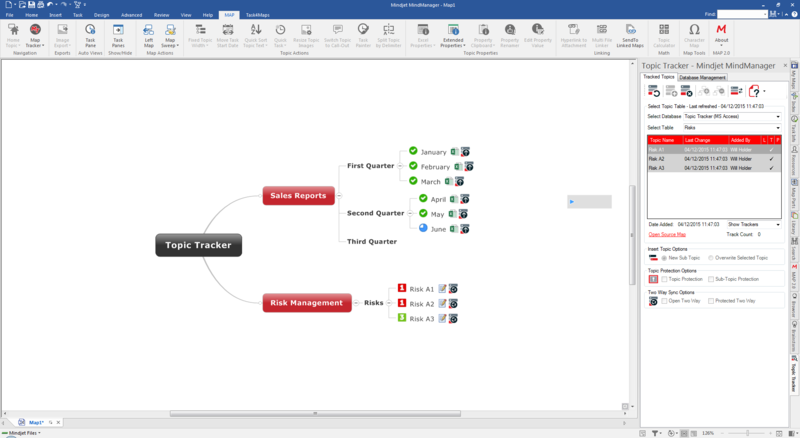 Improve & accelerate your workflow with MindManager & Task-Q so that nothing slips through the cracks during the busy working day. NEW MAP Version Out Now! 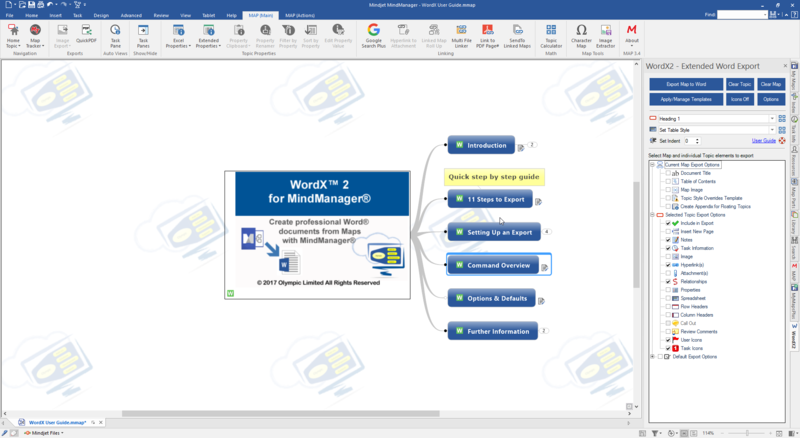 Three great new functions to the popular MindManager for Windows add-in: MAP! 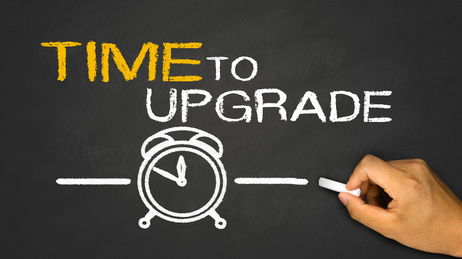 Download your 14 day trial today for MindManager 2016, 2017, 2018 and the new MindManager 2019! 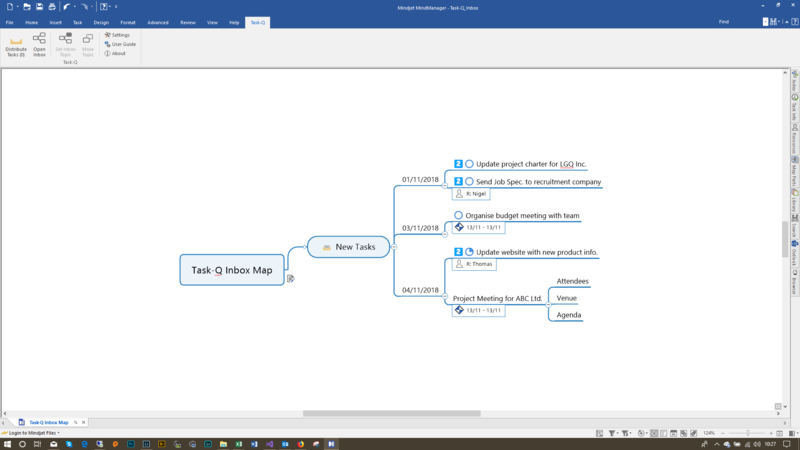 Combining a simple to use and easy to access capture app and a dedicated Ribbon Menu within MindManager, Task-Q helps to improve and speed up your workflow when using MindManager for Project Management, Task Management, To-Do Lists, Idea Capture, Brainstorming and more. 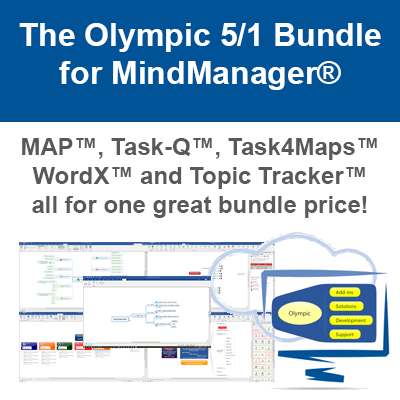 MAP offers over 50 new functions helping you apply MindManager to everyday Mapping. Simple enhancements speed up actions like adding Tasks or clearing Map elements in bulk. More complex functions improve Map management and sharing. 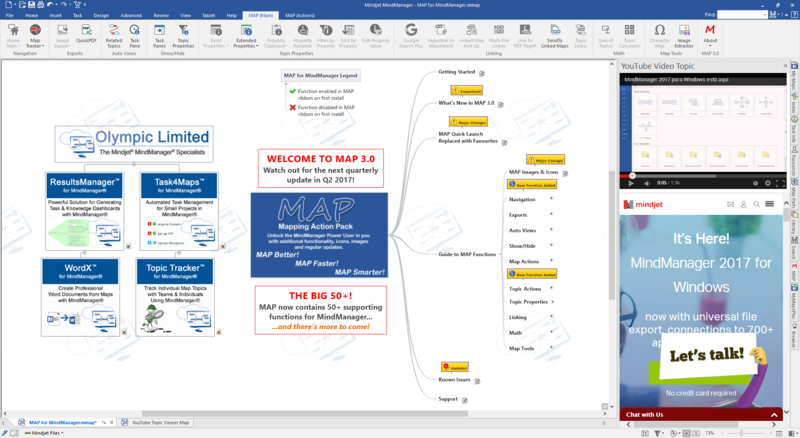 Your Mapping workflow becomes easier as a result of implementing MAP. This extended Microsoft Word export gives greater control over Map Topics when exporting Maps to Word. 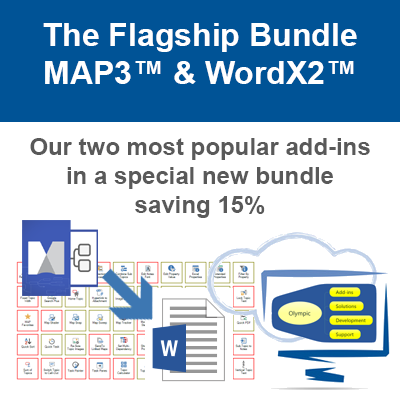 WordX enables much more elaborate and flexible creation of your output to create great looking documents for all situations. When you work in Teams, sharing and visibility of information is paramount but it also needs to be relevant and up to date. Topic Tracker lets you share specific Map Topics with other Topic Tracker users, therefore allowing everyone to be informed of changes when required. Task4Maps manages Tasks in an automated Dashboard and monitors them based on their proximity to the current date and progress. 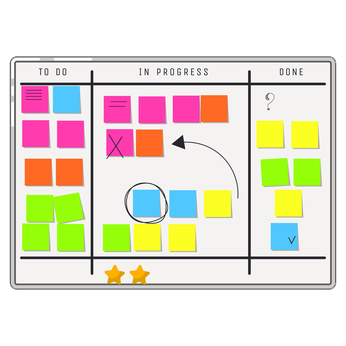 Tasks are categorized using an extended Kanban theme and therefore create a clearer picture of your upcoming and current workload at a glance.